Cajun Grits and Grillades (pronounced “GREE-ahds”) is a southern dish traditionally served for breakfast or brunch. 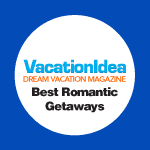 It is served many different places such as at home, at weddings and parties, bridal teas, and even at classy debutante balls. Grillades are basically pork or beef long-simmered medallions cooked into a succulent Cajun brown gravy; the gravy is important to the flavor, and if prepared properly, it makes the whole dish totally and completely delicious. It doesn’t matter if you are rich or poor, everyone from the south eats Cajun Grits and Grillades. Southern grits are not JUST grits; and they are certainly not what you would typically eat in a restaurant or any other place up north. These grits are basically overcooked until they reach a creamy consistency and they are seasoned wonderfully with different herbs and spices. These Cajun grits can stand alone without the Grilliades and still taste awesome. 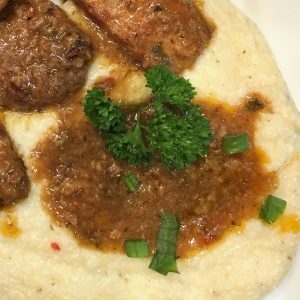 There are different Grits and Grillades recipes here in the south, but if you want the best, you’ll choose an authentic recipe such as this one. It’s important to note that Creole style Grillades are not the same as Cajun Grillades. I have even seen some local chefs start their recipe by creating a roux for the gravy. 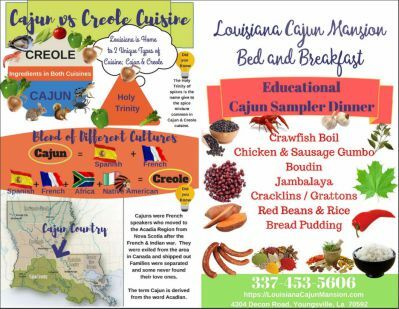 Although Creole Grillades and roux based Grillades are good, just remember, they are not authentic original Cajun Pork Grillades. Want the real deal? Here you go! Lightly pound pork slices with a mallet. Season with Benoits seasoning mix and salt. Pour flour in a pan and then dust pork in flour. In pot #1: Pour approximately 1/2 inch worth of oil in a large heavy skillet. Heat oil over high heat and brown pork on both sides, in batches, for about 2 minutes per side. The goal is to continue frying the pork medallions down on medium/high. The bottom of the pot will consist of browned flour (but not burnt). If it turns black, then you’ve cooked on high and your gravy base is burnt. After browning, place medallions on a tray lined with a paper towel. When pork has all been browned, next you’ll create the succulent brown gravy by first pouring out as much of the grease as you can. The bottom of the pot should consist of browned flour (not burnt black flour). Keep the gravy content in this pot until it is time to pour it into pot#2. In Pot #2 (Dutch Oven): Add 1/4 inch worth of cooking oil, onions, peppers, celery, garlic, bay leaves, diced tomatoes, and cook, stirring constantly. You will want to cook the vegetables first on medium/high. Cover the pot with the lid on which will make all the liquids seep from the vegetables. Keep covered for about 10 minutes. Then remove the lid, lower your heat to medium and continue sauteeing the vegetables for about 30 minutes. If needed, add a little water to keep the vegetables from burning and sticking too much. The goal is to cook these vegetables down to a puree and not to just cook them down until the vegetables are transparent. Remember, this is your beautiful thick and brown gravy. The onions should be cooked down for about 40-45 minutes total. You may see the vegetable mixture turn the bottom of the pot dark brown, but not burnt. Then, add stock, brown gravy contents from pot #1 and season with Benoit® seasoning and salt. Stir and cook over medium heat for about 5 minutes. Return pork to Dutch oven and simmer over medium low heat for 40 minutes, until meat is very tender. You should be able to cut the medallions with a fork; yet it is not cooked so much as they come apart on their own. You’ll want to serve approximately 2 to 3 pork medallions per serving. When serving, place approximately 2 large heaping serving spoons of grits in your plate. Then scoop up some gravy with a large serving spoon and place on grits making a hole in the center of the grits making a little crater for the gravy to stay. Then scoop approximately 2 or 3 pork medallions and place on top of the grits. Add scallops on top for garnishing. While pork is cooking, begin the grits in another pot. Add grits, water and salt in a pot and bring water to a boil. Reduce heat to medium-low and cook 4-5 minutes or until thickened, stirring occasionally. Add butter, bacon grease, garlic powder, Benoits Cajun Seasoning. Then lower heat to low and continue cooking for 35 minutes more. The goal is to make the grits very creamy by stir constantly and adding a little water when the grits get too stiff. You want the consistency of the grits to be creamy but not runny and not so firm that you can cut them with your fork the minute they are out of the pot. Taste the grits before serving to make sure you taste enough garlic and you’ve added enough seasoning and salt. The package NEVER tells you to add enough salt; therefore taste before you serve! We hope you’ll let us know how your Grits & Grillades meal came out! Visit us on the Mansion’s Facebook page and give us a shout. We love to hear from folks around the world who enjoy our recipes. 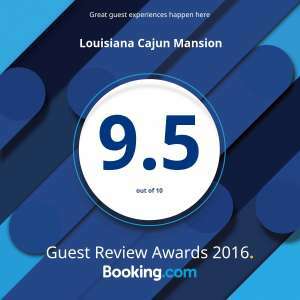 And of course, we’d love to welcome you to visit the Louisiana Cajun Mansion and let us cook you some!